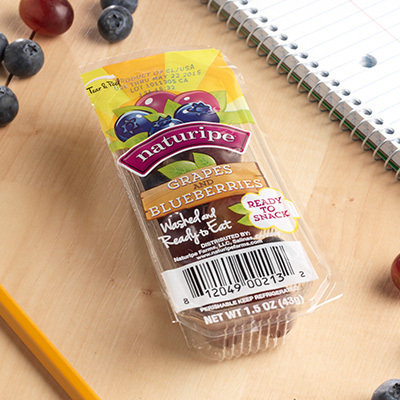 Snack right from the pack with Naturipe’s® convenient triple-washed and ready-to-eat snacks! These innovative single-serving portions are an easy and smart choice for grab-and-go snacking. 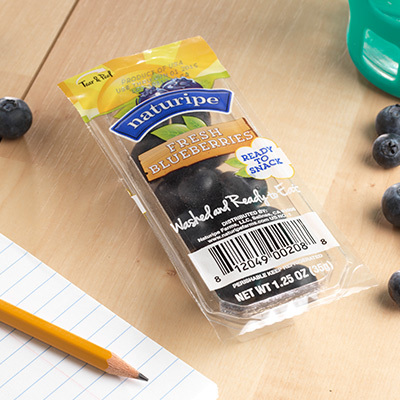 Choose from our 100% Blueberry snack pack or our Blueberry & Grape Blend snack pack, with our innovative crush-proof packaging that’s tightly sealed and ultra-portable. Find these simple, smart snacks in your local produce section!